Were Leviathan & Behemoth Created on the Same Day? If someone walked up to you today and asked why you believe in God, what would you say? Would you be able to quickly give a good, reasonable answer to such a very important question? There are many questions that Christians need to be able to answer sensibly, but none is more important than the question of God’s existence. O ne of the most powerful and easy-to-understand proofs for the existence of God is the argument from design. You might word the argument this way: (1) Since design demands a designer, and (2) since the Universe is full of examples of complex, functional design, then (3) there must be a Designer who designed the Universe and everything in it. The design argument is easy to understand and remember. But what makes this argument even better is that it can be illustrated by observing the design of countless, remarkable things—not the least of which is the design seen in the human eye. Evolutionists teach that your eyes are the result of time, non-intelligence, and chance. Yet, when you look in a mirror, evidence of complex, functional design, which demands more than evolution, is staring you in the face. Think for a moment about the location of your eyes—they are in the perfect part of your body. Your eyes do not dangle from your cheekbones, nor are they tucked away under your arms. Your eyes were put in the perfect place—in protective pockets called orbits (or eye sockets). Soft and fatty tissues line the orbits and provide necessary cushion. This tissue, along with six muscles, also enable each eye to move extremely effectively. In addition to your perfectly designed eyelids and eyelashes, which help to protect your eyes from all sorts of things, your eyes also come with their own mucus and tear factories, called the conjunctiva membrane and lacrimal glands. These important outer-eye parts are able to lubricate the eye well and keep it clean. Now to your actual eyeballs…. Each of your eyes has an aperture (or an opening), called a pupil, and an iris that automatically adjusts to make sure just the right amount of light passes through the eye. On top of the iris and pupil is a kind of clear protective plate called a cornea. Once light passes through the cornea and pupil it moves through a lens, which can adjust its shape to help clarify the image. The picture is then focused on to the retina. 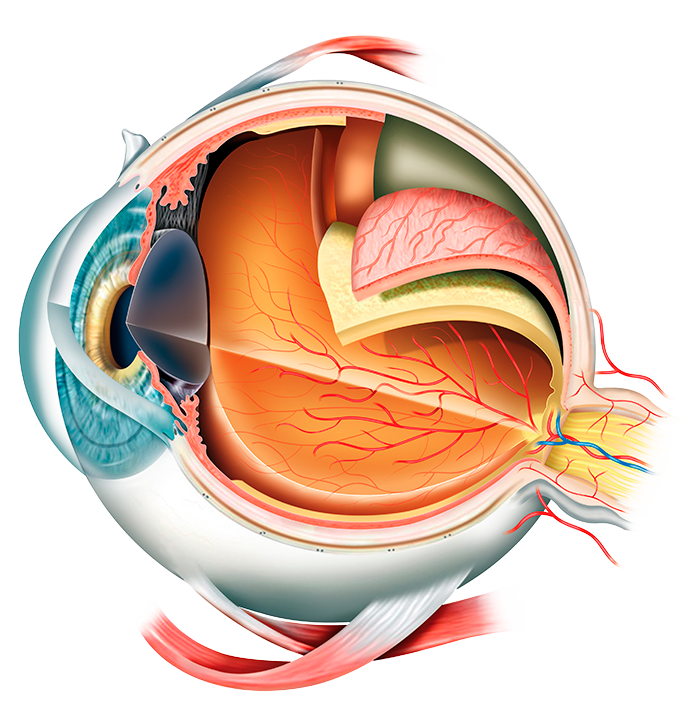 Your retina contains two kinds of light-sensitive cells (called rods and cones) that convert different types of light (red, blue, green) into chemical signals. (Fascinating!) Those signals pass from the retina to the optic nerve, and then on to the brain where the picture is stored. And all of this is done in a fraction of a second…as signals from the eyes to the brain travel along nerves at hundreds of miles per hour. Does this sound like the result of an accident? Is this the product of non-intelligence? Or is this the work of a Designer? Imagine waking up one day and seeing a shiny new digital camera on the floor in the middle of your room. You quickly notice that it has a tiny opening, called an aperture, that lets in light. 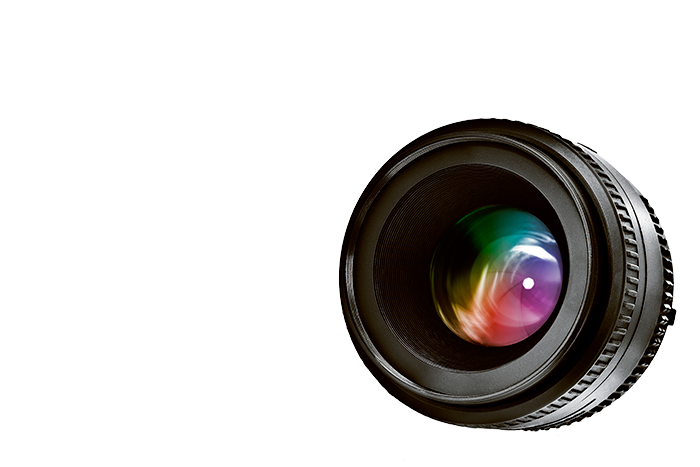 The aperture is covered by a shutter, which regulates the length of time light is allowed though the aperture. The camera also has a lens to help focus the image being photographed, and a computer memory card to store the image. What would you think if your science teacher said that your camera simply evolved by time and chance? Even though it looks like it has been designed and it works perfectly, you are asked to believe that the camera had no designer or creator, but is the product of evolution. Such a thought is absurd. No sane person would argue that your new camera evolved naturally over millions of years. Likewise, no one can rightly conclude that the human eye is the product of evolution.